INSANITY vs. T25: Which Workout Should You Do? When you do a Shaun T workout, you can take a few things for granted: Your sweat will pour, your heart will thunder in your chest, your muscles will feel like they’re on fire, and (likely more than once) you’ll question whether you’ll be able to cross the finish line. In short, Shaun T’s workouts are tough. Some might even say insanely tough. But they’re tough with a purpose: To get you in the best shape of your life. And as thousands of success stories confirm, his workouts deliver on that promise. For many people, INSANITY was their introduction to the sweaty, muscle burning, fat-incinerating, HIIT-focused world of Shaun T.
Since its release in 2009, Shaun T has expanded that hugely popular workout and nutrition program into a series that includes INSANITY MAX:30 and INSANITY THE ASYLUM (VOL. 1 & 2). Those aren’t Shaun T’s only programs in the Beachbody on Demand library, but there are only a couple of others that aren’t in the INSANITY series, that isn’t kid- or dance-focused, and that are also rooted in high-intensity cardio. The most notable one is FOCUS T25. So how do you choose between INSANITY and FOCUS T25? Which program will deliver the total body transformation you want in the least amount of time? Read on — the answers to the following frequently asked questions will help you decide. What Are the Key Differences Between FOCUS T25 and INSANITY? As mentioned above, both INSANITY and FOCUS T25 offer high-intensity workouts designed to torch fat, enhance muscular definition, increase endurance, and boost overall athleticism. But they go about it in different ways and are designed with different audiences in mind. The first and most obvious distinction between FOCUS T25 and INSANITY is the duration of the workouts. With INSANITY, you can expect to sweat for between 40 and 60 minutes most days of the week, and longer on days that include an additional core workout. With FOCUS T25, you’ll be done in 25 minutes every time. Does that mean FOCUS T25 workouts are easier? Not necessarily. It all depends on your current fitness level (more on that in a bit…). INSANITY has the edge in this category. 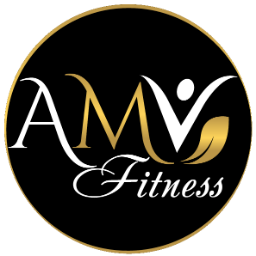 It’s one of our most advanced programs, and it’s designed for people who are already in good shape and want to take their fitness to the next level. It is, in a word, grueling. That’s not to say that FOCUS T25 isn’t tough, or that you won’t have to dig deep in order to complete each and every workout. It’s just designed for a different fitness level. If you’re an “intermediate” exerciser, you’ll be just as challenged by FOCUS T25 as an “advanced” exerciser will be by INSANITY. At first glance, INSANITY is the definition of high-intensity interval training (HIIT), which alternates between bursts of all-out effort and brief periods of rest. Except INSANITY takes that concept a bit further, making the work periods longer and the rest periods shorter than in a typical interval workout. That’s why we call it “Max Interval Training.” It’s HIIT to the extreme. The cardio sessions in FOCUS T25 embrace the concept of HIIT as well, but unlike INSANITY, the program also includes strength workouts, so there’s more of a balance between cardio and resistance training. As a result, you’ll need more equipment to do FOCUS T25, which brings us to another FAQ. Can I Do Either Program Without Weights? Since FOCUS T25 includes strength training, you’ll need resistance equipment to do it. We recommend dumbbells, but resistance bands will also do the trick. Either way, you’ll need a few levels of resistance (i.e., a range of different weights or bands) in order to effectively work different muscle groups. INSANITY, by contrast, requires nothing more than your own body weight. And because it’s such an intense program, that’s more than enough to help you build muscle, increase definition, and incinerate fat. Trust us — you don’t want to be weighed down during INSANITY, which requires (and helps increase) strength, endurance, explosive power, and agility. INSANITY lasts 60 days, including a recovery week halfway through the program. FOCUS T25 lasts 10 weeks (70 days) if you follow the basic calendar, and spans two phases: ALPHA and BETA. The former one focuses almost exclusively on cardio while the latter one encompasses both cardio and strength training. Doing the optional GAMMA phase tacks on an additional four weeks. Is INSANITY Better Than FOCUS T25? That’s a bit like asking if a marathon is better than a 10K. If you’re relatively new to running and have never logged more than seven or eight miles at a time, you shouldn’t race 26.2 of them, as that might very well wreck you. First, do a 10K, and then build your way up to a marathon. The advice is similar to FOCUS T25 and INSANITY. The latter program is designed for people who are in excellent shape and want to take their fitness to an elite level. If you’re still relatively new to working out, or if you don’t have any experience with HIIT, try FOCUS T25 first. The endurance, power, strength, and mental grit you develop will prepare you for the even greater challenge of INSANITY. Whichever program you choose, it’s important that you also follow the eating plan that comes with it. In order to maximize workout performance, recovery, fat loss, and fitness gains, you have to optimize your nutrition and calorie intake. Fortunately, Shaun T makes it easy — just follow the simple instructions in his nutrition manuals to fuel your success!